Our relationships with condiments can become rote: ketchup/fries, mustard/hotdog, salsa/chips — even sriracha/pho. We robotically dip, drizzle and douse without a conscious thought. In this column, we’ll be trying to shake up our collective condiment consciousness. Proust wrote, “The only real voyage of discovery consists in not seeking new landscapes but in having new eyes,” and with that in mind, I thought I’d take you along in search of lost time — to my first condiment: Gochujang. As a Korean kid growing up in American Samoa, I was part of a subculture made up of the families of Korean fishermen and sailors that had sprung up around the tuna industry of the South Pacific. (I know, there’s a musical in here, somewhere.) The heart of this community was Korea House, a blue-shingled, cantilever-roofed building, behind which were buried about a dozen earthenware vessels the size of Greek amphorae — it was in these we aged our gochujang. Gochujang is a fermented paste made of red chili powder, glutinous rice powder, pureed soy beans and salt, seasonings like garlic and onion, all sweetened with a little sugar syrup and aged for, like, eons in buried earthen vessels. It’s about the consistency of hoisin sauce; perfectly uniform but slightly grainy. It brings to the table the perfect savory mix of flavors: spicy, salty and sweet, with an earthy finish and loads of umami. You may know it as the main finishing condiment for bibimbap, but it’s truly versatile, good for anything that involves rice or noodles, stir-fries and any soups or stews that could use a peppery, reddish cast. Oh, and it’s a main ingredient in spicy BBQ marinades, especially with pork. 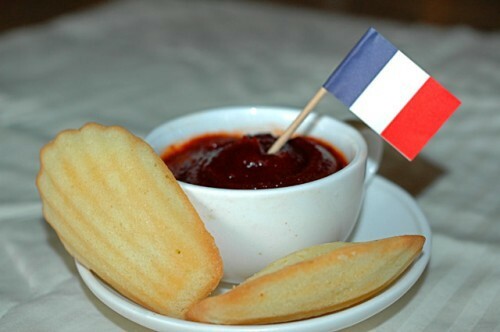 Condiments have a way of serving as passports between traditional cuisines. In American Samoa, gochujang served as a go-between for Asian, Polynesian and American taste stylings. I can remember enjoying gochujang and chogochujang with kalua pig, breadfruit, kimchi and spam or canned corned beef on a taro leaf for a Sunday afternoon meal. Later, when my family moved to L.A., and my parents were busy running a corner store, gochujang became a staple of the latchkey lifestyle for me and my brothers. 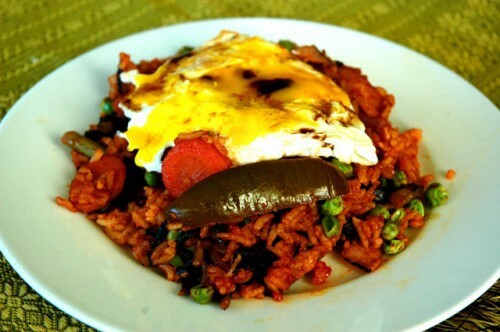 Breakfast might be bokumbap, kimchi fried rice with Spam, tinged red with a healthy dose of gochujang and topped with an over-easy egg. 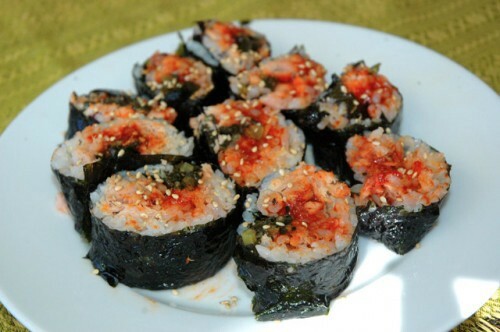 For snacks we would make little maki rolls out of rice, canned tuna dressed with chokochujang and pickles. In a pinch, you can even make a meal of beef jerky or Slim Jims — remember, we were growing up in a convenience store — as long as you have some rice, some kind of vegetable and gochujang for dipping. This wasn’t quite as terrible for us as it sounds — gochujang is actually quite healthy. Fermented foods have long been singled out as the reason for Koreans’ superior digestive and immune system health. A few years ago, the Korean health minister claimed his country’s penchant for fermented food was the reason there were no human SARS infections in South Korea. I agree totally, but have to point out that my people also go all in on rhino horn, Reverend Moon and goblins that have the power to transfer tumors from and onto the living. Aside from helping to ward off the undead tumor-demons, gochujang has many uses, and it’s the off-label ones that make a great condiment, so be experimental. Look for it in Asian markets and expect to pay between 4 and 8 dollars for a 500-gram container in-store, a few dollars more online. There is a confusingly wide variety of brands out there with inconsistent translation on the labels, but I think you’ll find that relative price is a good indicator of quality in this case. 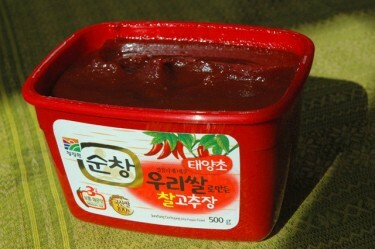 It’s also thought that Sunchang County produces the best gochujang, and you can generally find it called out in English on the package. So enjoy! Oh, and after cooking, don’t rub your eyes. Ben Choi carefully curates a cabinet-cramming collection of condiments from his kitchen overlooking the San Francisco Bay.